Historically, the majority of the duplications of the ureter go unnoticed. Anomalies of duplication of the ureter with clinical implications are less common. Incomplete duplication of the ureter with lower moiety ureteropelvic junction obstruction is very uncommon. Patients present with recurrent loin pain and urinary tract infection. In cases of complete duplication, urinary tract infection may be the presenting feature [1–4]. Each patient requires individualized treatment. Management considerations depend on several factors including the functional status of the portion of the kidney. 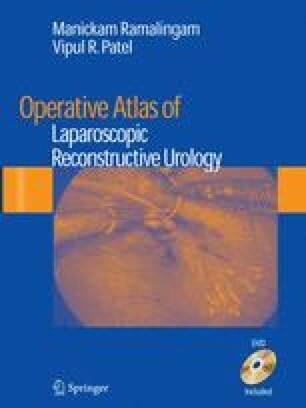 Laparoscopic ureteropyelostomy appears to be an evolving reconstructive procedure.